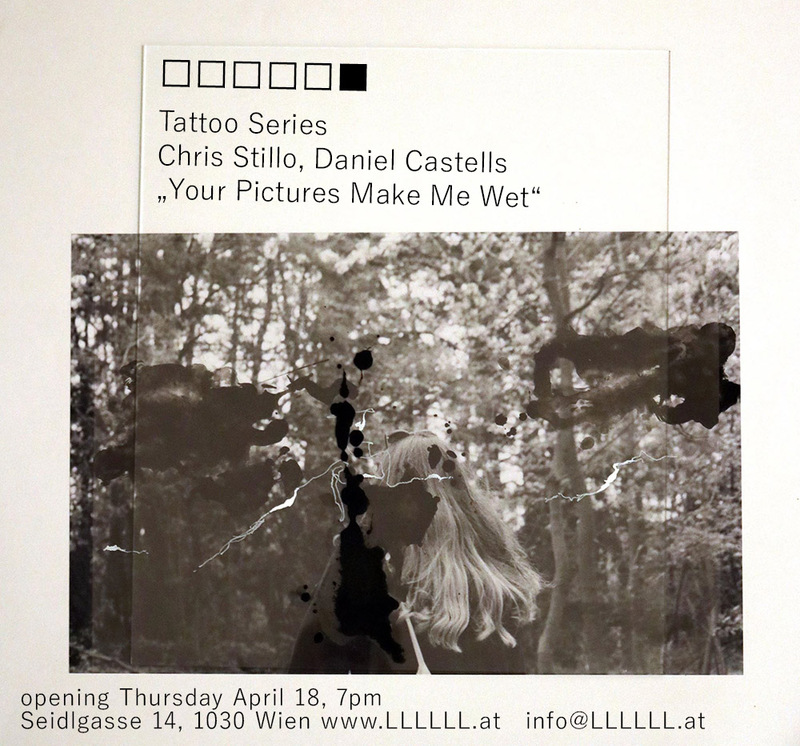 "Your Pictures Make Me Wet"
exhibition running until April 27. 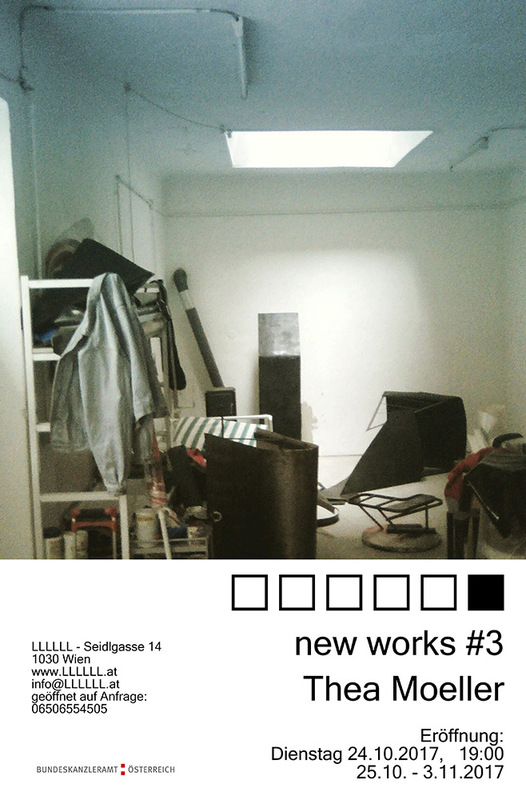 In 2015, Christoph Srb and me (Reinhold Zisser) founded an artist run space in Seidlgasse 14, 1030 Vienna. The name of the space □□□□□■ (also written LLLLLL) was created from the light boxes which are attached to the exterior facade. In 2018 i started an artistic project in which i used my artist run space as material for a conceptual artwork, by showing off the room at Parallelvienna, tranfering these light boxes as a central element of a room installation to the fair. The following offer was made there: Each artist, each curator, who has the symbol, the name of the space □□□□□■ tattooed, will receive a solo exhibition in 2019. Altogether, 23 people were tattooed during the six days of the fair. The resulting shows investigate the network of positions and their mutual inscriptions that emerged at the fair, presenting them itself and thus making these abstract relationships visible. Opposite to the body of this group exhibition created by the presence of artists who got themself tattooed to be part of, is the body of the □□□□□■ exhibition space where the whole action takes part. While at the beginning of the project the artist run space □□□□□■ was the vehicle for the observations of the dependencies and abysses of the art institution / market / artist into an exhibition context, the now running exhibition series show that the □□□□□■ space acted as an artistic instrument. The reflection and presentation of the relationships between artists and institution has been a central element of my work for many years and therefore also became a central element of the □□□□□■ space. Therein I understand curatorial action and the system of art institution as a material to generate artistic work. You can slip like a hermit crab into more and more new forms and Ieave then leave again. This parasitic strategy is also evident in this exhibition series. But it also becomes clear that this parasitic relationship is a mutual one in which the resulting inscriptions are permanent and interact. We make it a necessity to keep track of our lives. We keep digital memories to prove that we’ve lived. To prove we were here. To prove that our lives mattered. We are living through a mirror that shows us whatever we choose to remember. It weakens our conscious reality by portraying a hazy version of our feelings floating around in a parallel universe. But we are not water. We are not made of unforgettable molecules. There’s something about us I never really got to understand. You cover me whole. My fingers on your skin. Too close to me. I saw you passing down the street the other day. I saw you having a coffee with that certain smile on your face. You probably can’t remember. I can’t touch you. You are another interference in my past. I have you in my hand. Maybe I took the wrong picture at the wrong time. exhibition running until April 15. Alban Muja (born 1980) is a Kosovo-based artist. He graduated from the Academy of Fine Arts in Prishtina with a BA and MA. His artistic work / activities arise in diverse media. They range from installations and documentaries to drawings and painting. Alban Muja took part in numerous exhibitions, among others in the MeetFactory in Prague, the Kumu Art Museum in Tallinn, the Guangdong Museum of Art, the James Gallery in New York the Zhejiang Art Museum, the Gagaosian Gallery in Berverly Hills etc. Numerous international residencies and scholarships led him to New York, Santa Fe, Istanbul and last but not least to Vienna. In June this year Alban Muja will represent the Kosovo Pavilion at 58th edition of Venice Biennale. One focus of his artistic activity is on the social, political and economic transformation processes in the southern Balkans and their effects on the subsequent extended geopolitical space. He subsequently links these investigations with his various media and discursive strategies to his current position in Kosovo. A central theme for the artist is the question of identity. In a series of short films he portrayed diverse personalities who had to leave Kosovo or Albania and found themselves in a new, "foreign" environment in which their own self-image was called into question. 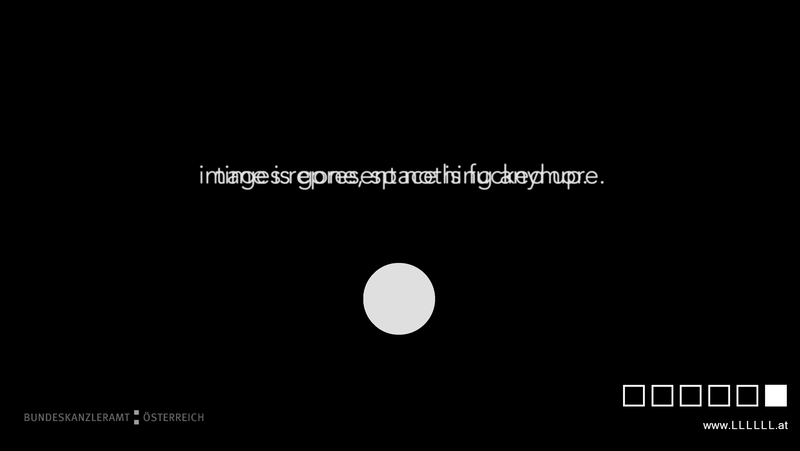 On the basis of the names of the protagonists, the viewer is shown how from a "simple" first name, e.g. a fascinating spectrum of meanings emerges that unfolds only through the translocation of a name from one language and sound space into another. The video "Forca" shown in the LLLLL exhibition is an excellent example of this aspect of Alban Muja's work. Another focus of the artist's work is critical questioning and deconstruction of national myths. In the exhibition, a marble is presented on three different sized pedestals. When these sockets are viewed in sequence, the marble seems to disappear in the socket. In this work, an association space is opened in which childlike games but also heroic monuments are imagined. Here, too, shows the specific artistic strategy of Alban Muja. Starting out from a seemingly simple nucleus of meaning, he develops a network of references and associations that is the occasion for reflections and, as a result, can lead to the most fascinating conclusions among the observers. 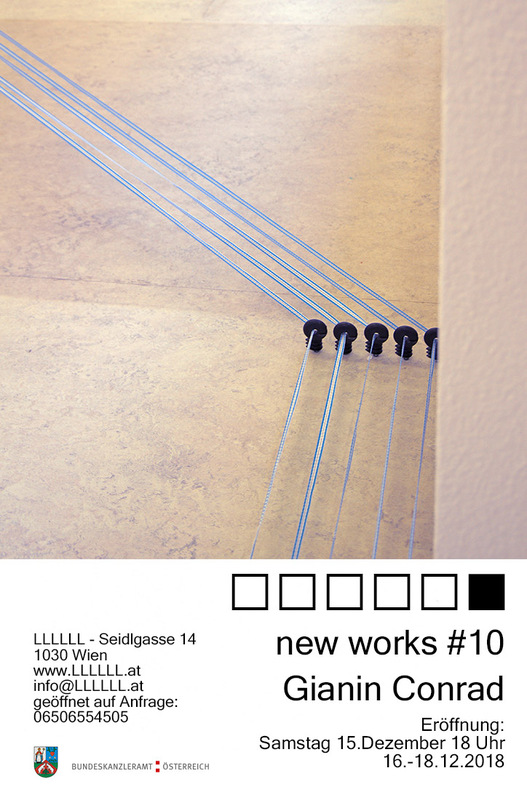 Dauer der Ausstellung bis 10.Februar. 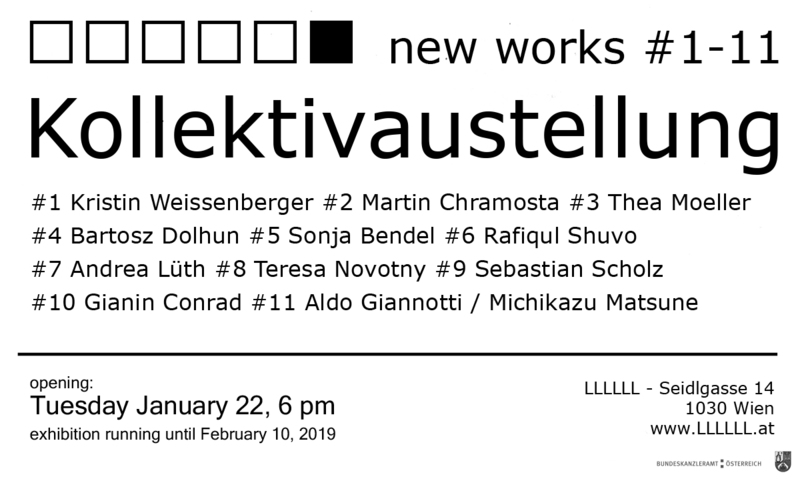 Die Kollektivausstellung new works #1-11 ist der Abschluß der gleichnamigen Reihe welche 2017 und 2018 in unserem Ausstellungsraum stattfand. 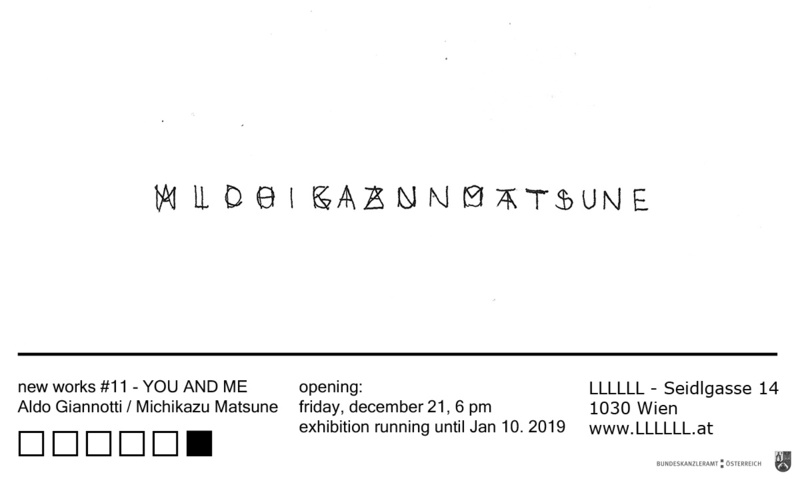 This exhibition marks the beginning of a collaboration project by Aldo Giannotti and Michikazu Matsune. You and Me is a performative work that explores the dynamic relationship between body and language, image and action, oneness and togetherness. 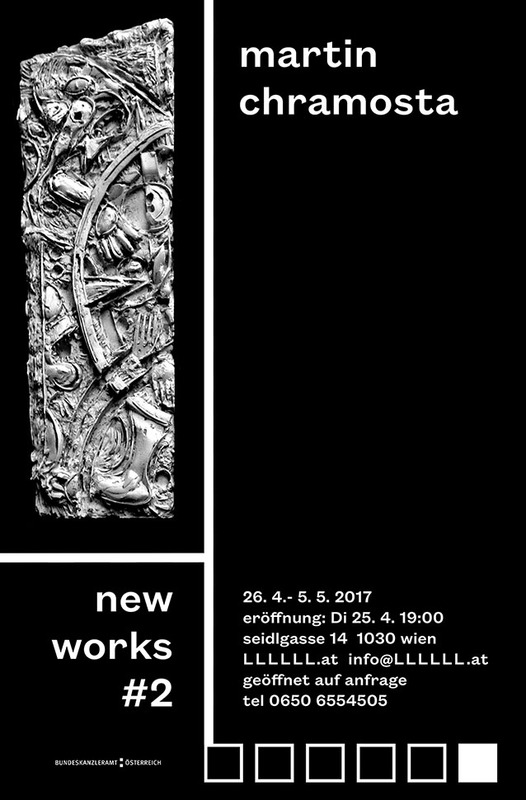 It takes part in the "new works" series of our space and will be the eleventh and last time that this exhibition format takes place. A format that focuses on the artist and his current work progess. It is based on an open studio situation but uses the display of the white cube. This exhibition series shall give artists the opportunity to research their new works and also give visitors a chance to participate an ongoing artistic process. Mit der Ausstellung von Gianin Conrad findet das Ausstellungsformat "new works" zum zehnten mal statt. Bei diesem Format präsentiert jeweils eine KünsterIn neue Arbeiten im Austellungsraum. Das Format orientiert sich am open studio, bedient sich aber des Displays des Ausstellungsraumes. 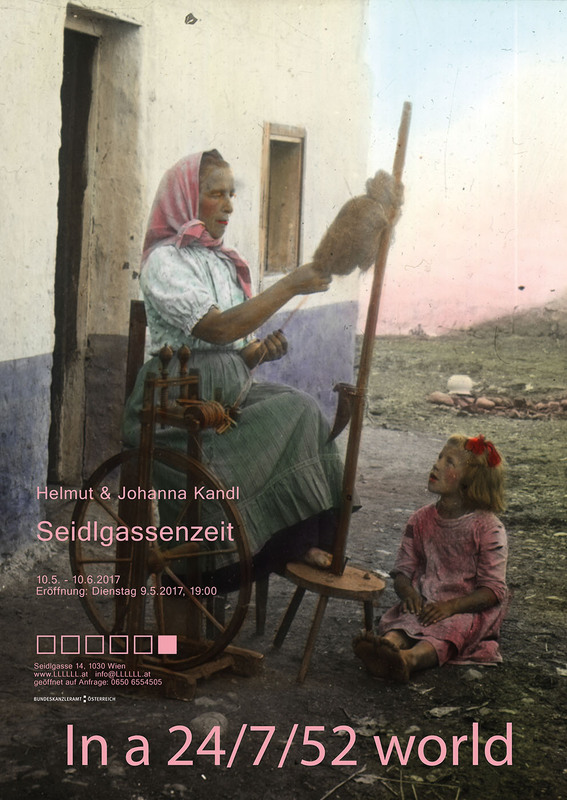 Dieses Ausstellungsformat soll KünstlerInnen die Möglichkeit geben Ihre aktuellen Arbeiten genauer zu untersuchen und gleichzeitig den Besuchern erlauben, Einblick in laufende künstlerische Prozesse und Überlegungen zu nehmen. 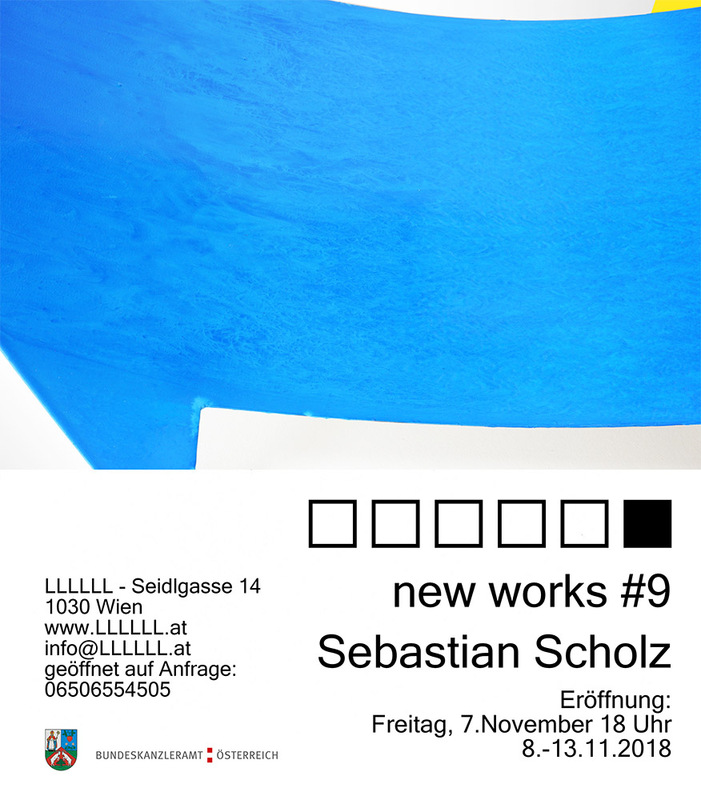 Mit der Ausstellung von Sebastian Scholz findet das Ausstellungsformat "new works" zum neunten mal statt. Bei diesem Format präsentiert jeweils eine KünsterIn neue Arbeiten im Austellungsraum. Das Format orientiert sich am open studio, bedient sich aber des Displays des Ausstellungsraumes. □□□□□■ will be hosting HORS-SÉRIE, an exhibition project curated by Eduarda Neves, presented in several art spaces, in which the artists work on a site-specificity basis, taking the exhibition context in consideration. It simultaneously approaches the polysemic character of the notion HORS-SÉRIE, opening it to its several meanings that have to do with identity, simulacra, potency, subversion, resistance, workforce, along with other concepts. 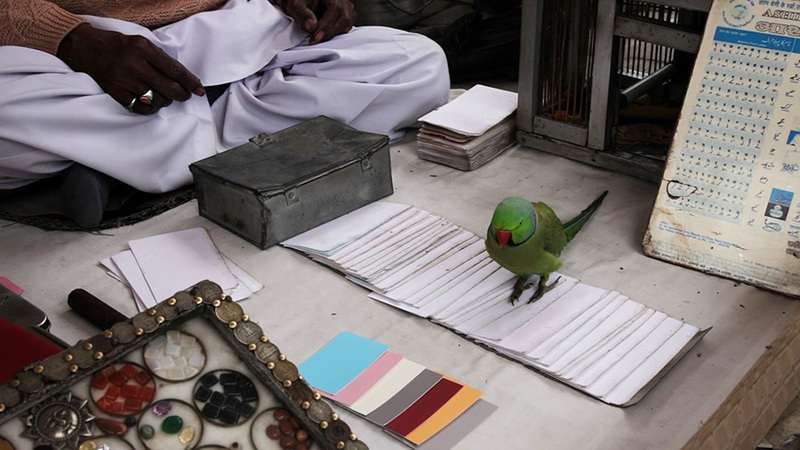 HORS-SÉRIE seeks to establish a dialogue between the fields of art, philosophy and politics. [A] Departing from Deleuzian references, through an understanding of the Identity of the Different as primary potency. To think of identity not as similitude but as disparity means to reverse Platonism, to affirm the simulacra, and to assign them their place between icons and copies​; place of subversion that denies original and copy, model and reproduction. It is no longer about the essence-appearance, copy-model, I-other relations, for this distinction works in the realm of representation. Neither the model of the Other nor the search for the origin. It is "of the false as potency, Pseudos, in Nietzsche’s sense: the highest potency of the false. Rising to the surface, the simulacrum casts under the power of the false (ghost) the Same and the Similar, the model and the copy" . This wandering has no beginning or end, it is chaos without center, potency of the simulacrum, destruction of the Same that prevents the perpetuation of the model. In this sort of Hors-série the march of divergence, of resistance, of the exceptional, of that which is subtracted from the regularity of the series but which belongs to it, is established. A Hors-Série which is pure difference, the difference in itself, which is opposed to classical representation. The latter submits difference to the principles of identity and similarity. Now, this pure difference is the object of thought and not of representation. The Being is regularity and becoming. 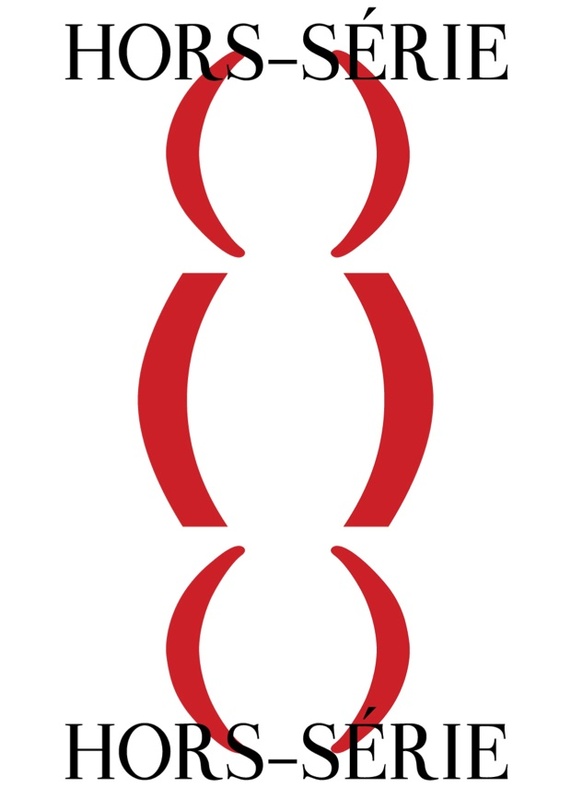 The multiple in each of us. The singular as collective. Difference is repetition and the discovery of all forces. A Meeting. [B] Issues to be addressed : (I) the resistence regarding infamous men’s life; (II) the escape from language’s representational paradigm. To seek for “a language without speech”, “an involuntary poetry”, as Michel Foucault righly remarked. To discover a madness that is not mental illness and, as this author has equated, one without which we would not know how to live. Thus, for us, it is also about issues of freedom, of questioning before all forms of built experience. Hors-Série as an experience of depersonalization. To overcome thought, penser l´impensé. [C] Hors-Série as a moment of stopping in the serial work, of unproductiveness of the workforce understood as a form of resistance. The machines, as bodies in series, spatially organize the production apparatus and, being configured as workstations, make the individualizing decomposition of the workforce visible. The factory is, by excellence, the domain of serial production work and flexibility. Its deactivation asserts itself, still, politically, as an image of unemployment. 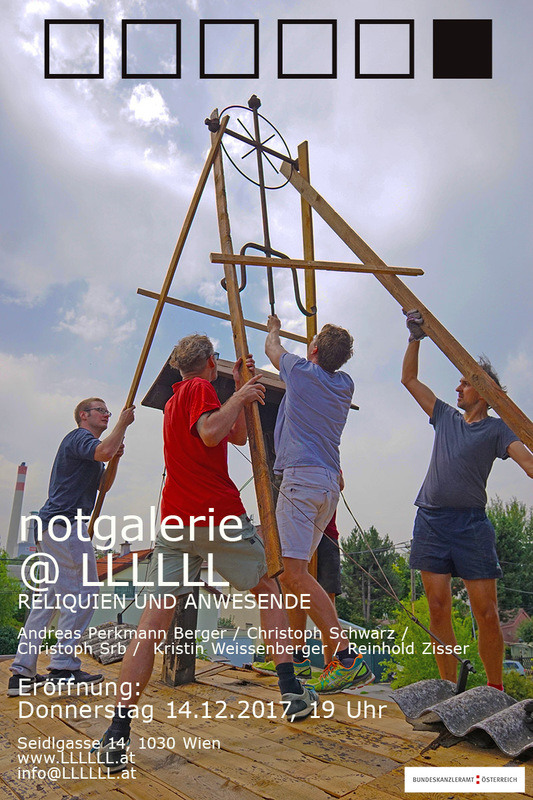 n der Installation □□□□□■ von Reinhold Zisser bietet der gleichnamige artist run space einen Austausch an. 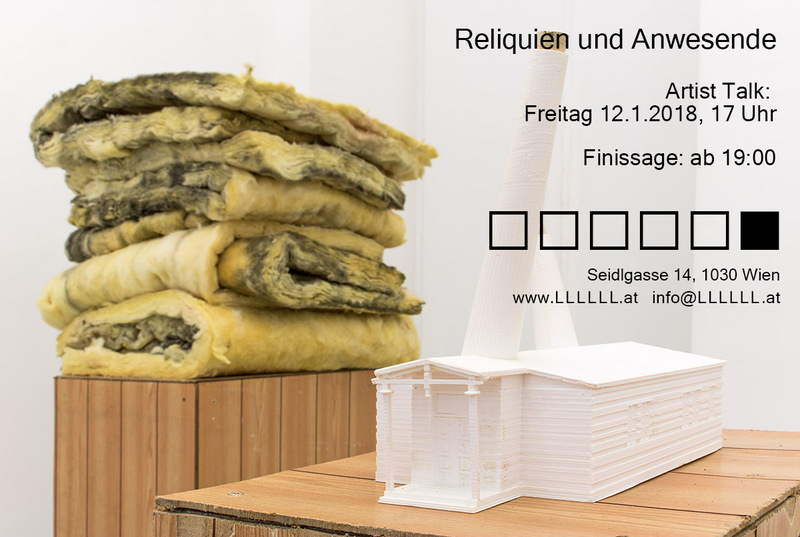 Für die Installation werden Elemente des Ausstellungsraumes aus der Seidlgasse zur PARALLELVIENNA translokiert. Die Installation Wanderbar von Christoph Srb tritt ebenso in den Prozess ein der beginnt sobald sich ein Gast bereit erklärt durch Vertragsabschluss die Installation zu starten und Teil der damit verbundenen Einschreibungen zu werden. Gleichzeitig zu Nagy's Schau wiederfährt dem LLLLLL ein Verlust eines seiner Identitätsgebenden Raumsymbole. 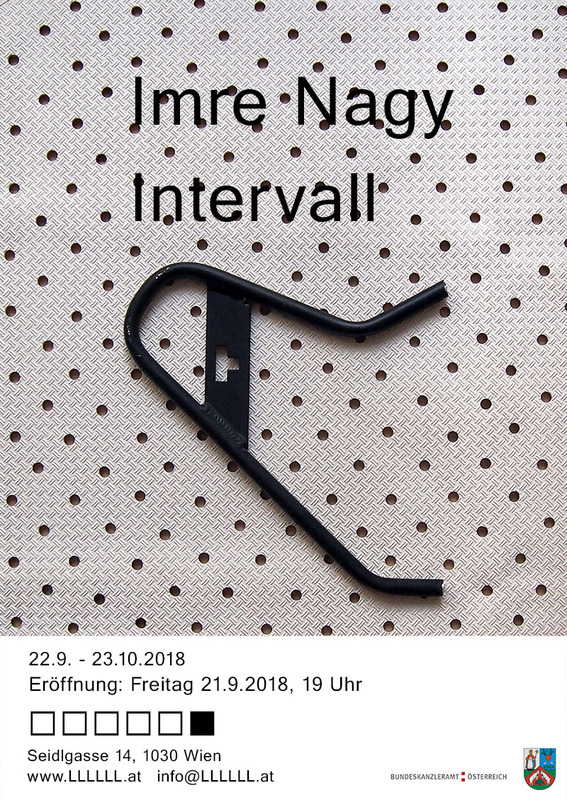 Imre Nagy wurde von uns vor einem Dreiviertel Jahr zu dieser Ausstellung eingeladen. Der Ausstellungsraum LLLLLL sieht, seit Beginn seiner Ausstellungstätigkeit im Herbst 2015, Untersuchungen der Konzepte von Bild / Raum und deren Beziehungen zum Betrachter, als zentrale Themen. Wir haben Imre Nagy gebeten in seiner Ausstellung diese Konzepte und die Setzungen welche sich durch eine drei Jahre lange Tätigkeit abzeichnen, selbst zum Inhalt seiner Untersuchungen zu machen. Bei diesem Format präsentiert jeweils eine KünsterIn neue Arbeiten im Austellungsraum. Das Format orientiert sich am open studio, bedient sich aber des Displays des Ausstellungsraumes. 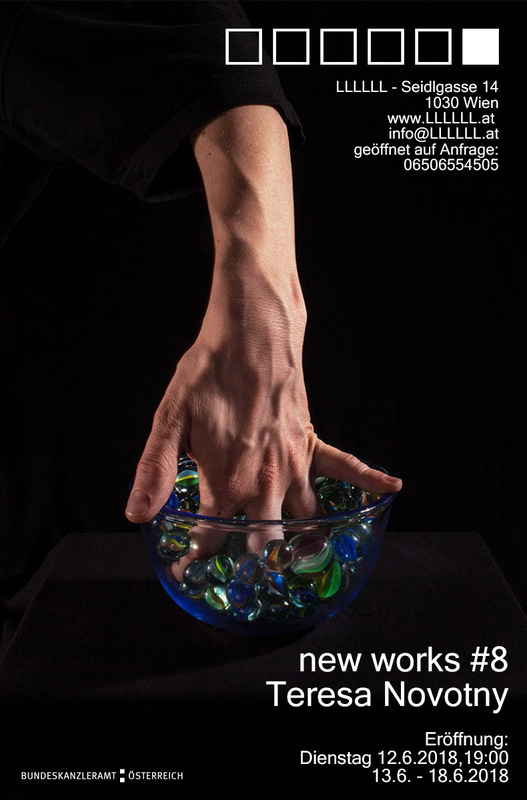 The show of Andrea Lüth will be the seventh time that the exhibition format "new works" takes place. 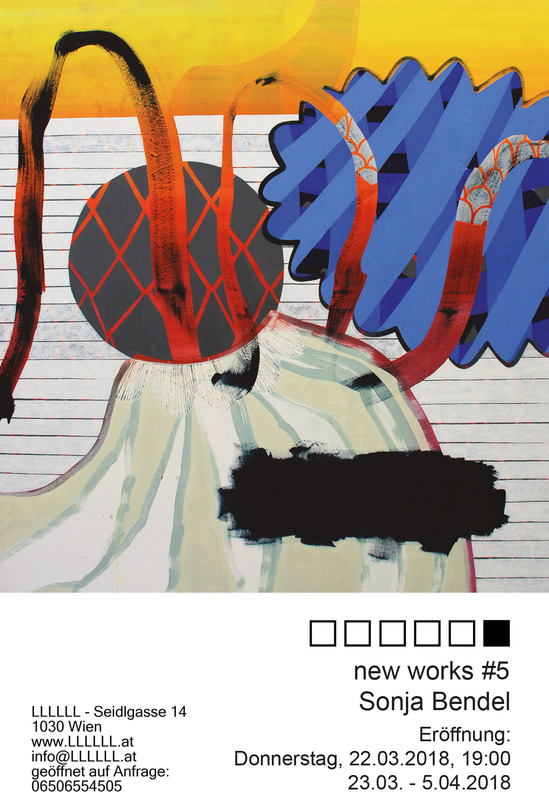 The format puts the focus on the artist and new works. It's orientated on open studio situations but uses the display of the white cube. These exhibition shall give artists the opportunity to research theire new works and also give visitors a chance to participate an ongoing works process. cutting together apart ist sowohl Ergebnis als auch Teil eines gemeinsamen Projekts, das auf unserem Interesse an Sprache, Formfindung und dem Hinterfragen medialer Repräsentationen basiert. Beiden Herangehensweisen liegt eine vorsichtige Suche zu Grunde, die sich durch ihre trans-/multimediale Aufarbeitung, auszeichnet. Innerhalb dieser werden immer wieder Fragen nach einer Lesbarkeit (von Text, Bildern und Objekten), Deutungsmustern und Verschiebungen (neu)verhandelt und in Beziehung zueinander gesetzt. Die Arbeiten bilden den Anfang einer gemeinsamen Suche und Allianz zweier Komplizinnen. is a result as well as an ongoing process of a shared project, which is based on our interest in language, form(-finding), and the questioning of media-related representations. Both approaches include a cautious search and trans-/multimedia processing. Within this process, questions of readability (of text, images and objects), patterns and displacements are constantly renegotiated and put in relation to each other. The shown works are a beginning of a joint search and an alliance of two accomplices. 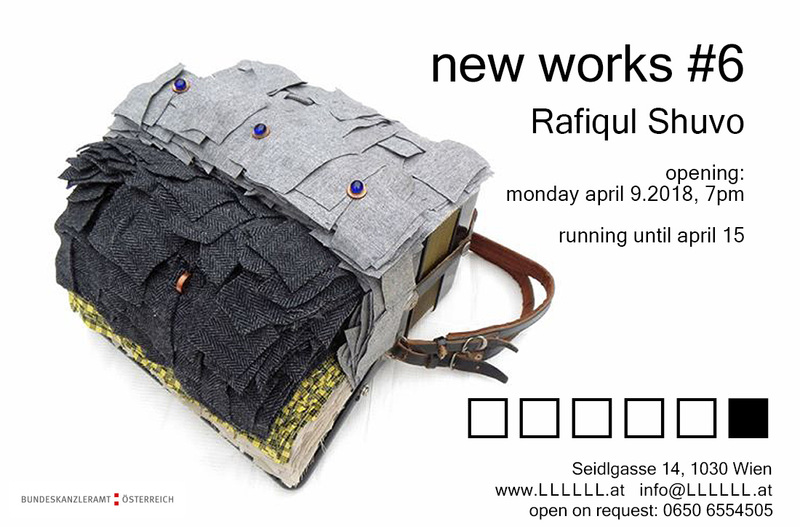 The show of Rafiqul Shuvo will be the sixth time that the exhibition format "new works" takes place. Zum Ende der Ausstellung sind alle eingeladen beim Artist Talk mehr über die notgalerie zu erfahren. Die Schwerpunkte werden einerseits auf der Geschichte der letzten drei Jahre, aber auch auf der Vorstellung und Diskussion der kommenden Aktionen und Möglichkeiten, liegen. 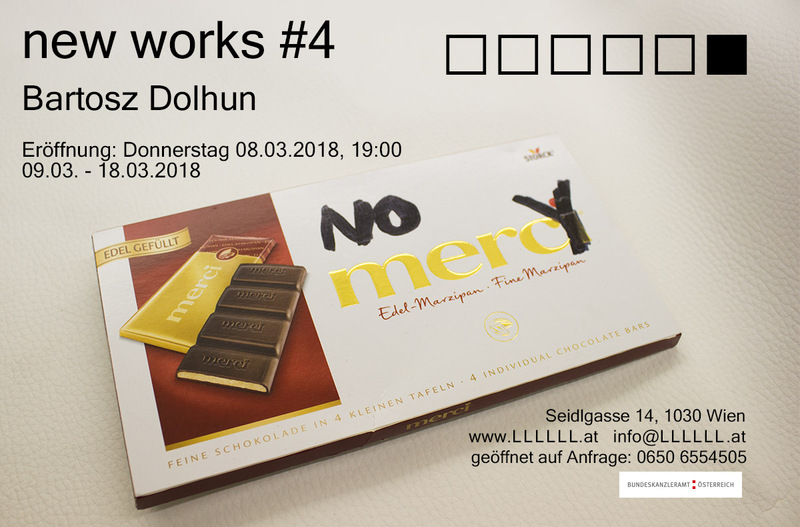 Der Artist Talk beginnt pünktlich um 17:00 im LLLLLL in der Seidlgasse 14, wo anschließend mit Buffet im angrenzenden Atelier nebenan die Finissage der Ausstellung stattfindet. Parallel findet auch die Finissage der Ausstellung "Die Verzeichnung der Zeit" von Darja Shatalova im "whitedwarf Projects" (ebenfalls Seidlgasse 14) statt. Nachdem die notgalerie diesen Sommer eine Translokation erfuhr, ist die Ausstellung im Kunstraum LLLLLL in der Seidlgasse die erste Überführung der notgalerie in einen Ausstellungskontext außerhalb ihres eigenen Körpers. Die Ausstellung zeigt Arbeiten welche im Kontext der notgalerie und ihrer Translokation im Sommer 2017 entstanden sind und verknüpft diese mit Artefakten des Gebäudes. Auf diese Weise wird ein neuer Kontext erzeugt und gleichzeitig die dadurch entstehenden Aufladungen untersucht. Die Ausstellung erweitert sich über den Ausstellungsraum in die Atelierräumlichkeiten und den dort befindlichen Barbereich des Ausstellungsraumes LLLLLL. Andreas Perkmann Berger zeigt mit der Arbeit "Le déjeuner II" eine digitale Fotocollage der notgalerie, welche in einer Auflage von hundert Stück produziert wurde. Christoph Schwarz 2 Kanal Videoarbeit "Christoph hat die Marillen organisiert, trinkt Bier und nennt das dann Controlling" dokumentierte die Übersiedlung der notgalerie. Christoph Srb produzierte diesen Sommer die "Wanderbar", eine Bar aus Styropor. Im Rahmen der aktuellen Ausstellung zeigt er deren Prototypen welcher bereits 2016 zum ersten mal im Einsatz war und nun neu interpretiert wird. Kristin Weissenbergers Installation fing diesen Sommer die ätherischen Essenzen des alten Grundstücks der notgalerie am Ulanenweg ein und setzt diese nun wieder frei. Reinhold Zisser untersucht den Werkskörper eigener, der notgalerie vorangegangener Arbeiten, welche mit Versatzstücken der notgalerie konfrontiert werden. Dieses spontaner geführte Format soll KünstlerInnen die Möglichkeit geben Ihre aktuellen Arbeiten genauer zu untersuchen und gleichzeitig den Besuchern erlauben, Einblick in laufende künstlerische Prozesse und Überlegungen zu nehmen. Ruxmini Choudhury is a young art enthusiast working as an assistant curator at the Samdani Art Foundation in Bangladesh. Shes coming to vienna for one week to set up this exhibition in LLLLLL. She worked together with several young Bangladeshi artists. following the short text from Ruxmini Choudhury on the exhibition. The exhibition looks into the consciousness of the realities around us from the socio-political context. I have selected the works of the five artists through a long conversation with each one, which sometimes went for few months. Through series of conversations I chose the works which reflect their perception of their realities. This exhibition is an attempt to discuss the current situation of our society, both local and global, through five different standpoints. Bei der Vernissage wird eine Perfomance stattfinden, in welcher Anne Glassner mit einer Installation von Alfred Lenz interagiert. 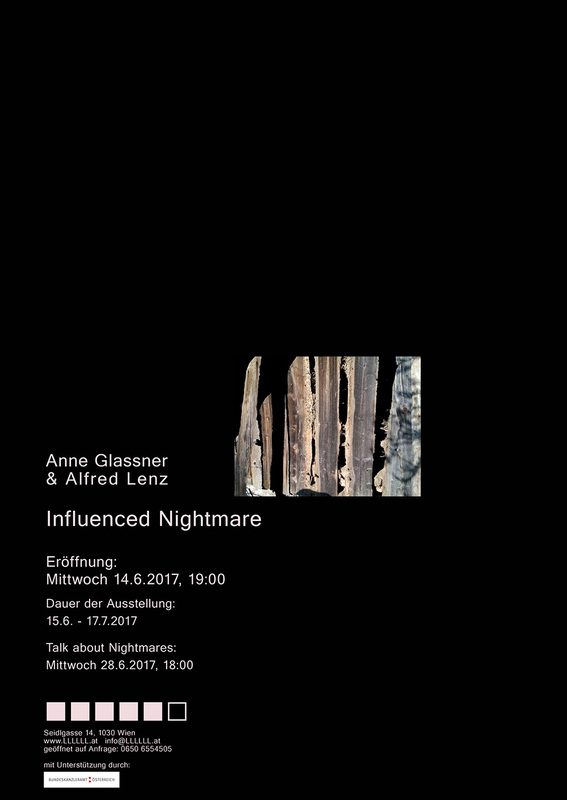 During the opening Anne Glassner will do a performance in which she interacts with an installation of Alfred Lenz. Opening: June 14 (Wednesday) at 7 p.m.
Talk about nightmares: June 28 (Wednesday) at 6 p.m. 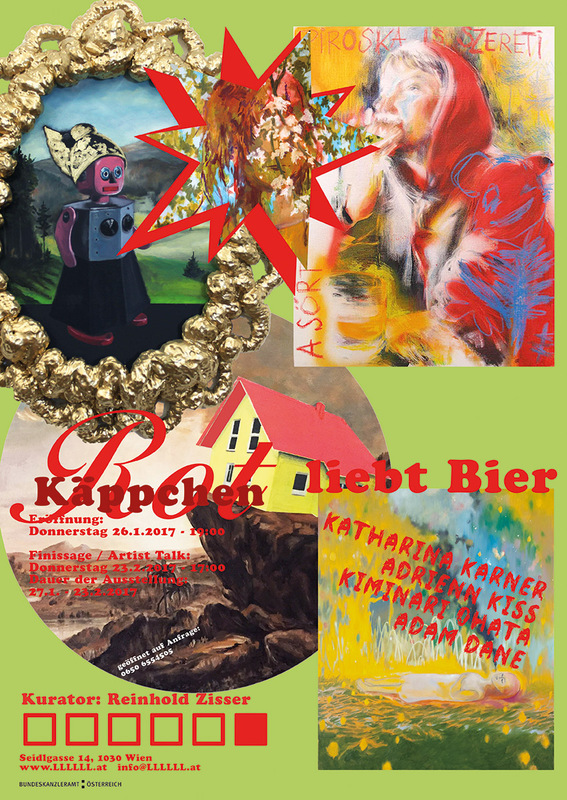 Die Seidlgasse 14 wo heute der Kunstraum □□□□□■ und das Atelier von Peter Fritzenwallner und Reinhold Zisser zu finden sind, war ab 1997 das erste gemeinsame Atelier von Helmut und Johanna Kandl. Für die Ausstellung Seidlgassenzeit wurden die beiden Künstler eingeladen Werke welche in dieser Zeit in der Seidlgasse entstanden sind zu zeigen. Opening: May 9 (Tuesday) at 7 p.m. Opening reception: April 25 (Tuesday) at 7 p.m. Die Reliefs von Martin Chramosta bestehen aus Gips oder Wachs. Sie tragen französische Titel. Es handelt sich um geschlossene, begrenzte, autonome Werke. 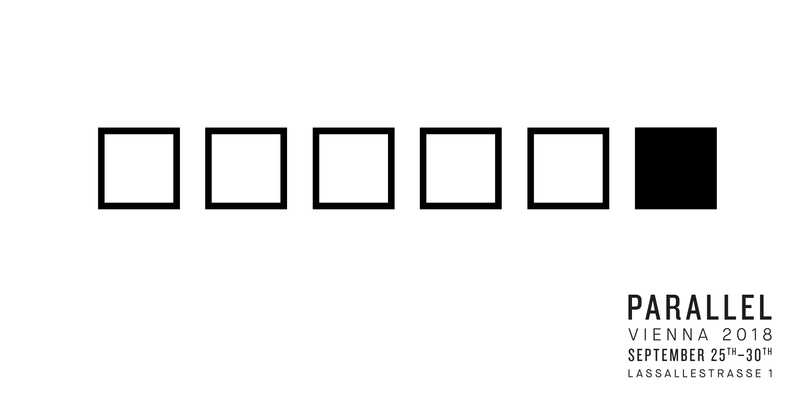 Um gestische Kompositionen kleinen und mittleren Formats. In der Starre ihrer bewegten Züge, im Volumen ihrer Schraffuren, im Graben ihrer Striche kreuzen sich Zeichnung und Plastik. Etwas Archäologisches haftet den Werken an. Stilepochen klingen in ihnen nach. Ihre Motive sind abstrakt. 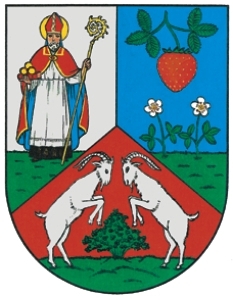 Sakral. Kubistisch. Mythisch. Sportlich. Dystopisch. Provinziell. Profan. Et cetera. Martin Chramosta untersucht historische Formen auf ihren zeitgenössischen Wert und ihre gesellschaftliche Relevanz. Aus ihnen modelliert er Assemblagen materieller und ideeller Natur, die sich in verschiedenen Medien wie Skulptur, Zeichnung, Relief, Video oder Performance kristallisieren. Er studierte Bildhauerei, Performance und Kunstvermittlung an der HGK Basel und der HK Bern. The reliefs of Martin Chramosta are made of plaster or wax. They have French titles. They are closed, limited, autonomous works. They are Gestural compositions of small and medium format. Martin Chramosta examines historical forms and archetypes for their contemporary value and their social relevance. His material and ideal assemblages crystallize in various media such as sculpture, drawing, video or performance. He studied sculpture, performance and art education at the HGK Basel and the HK Bern. new works ist ein eigenes Ausstellungsformat von □□□□□■ das mit der Schau von Martin Chramosta zum zweiten mal stattfindet. 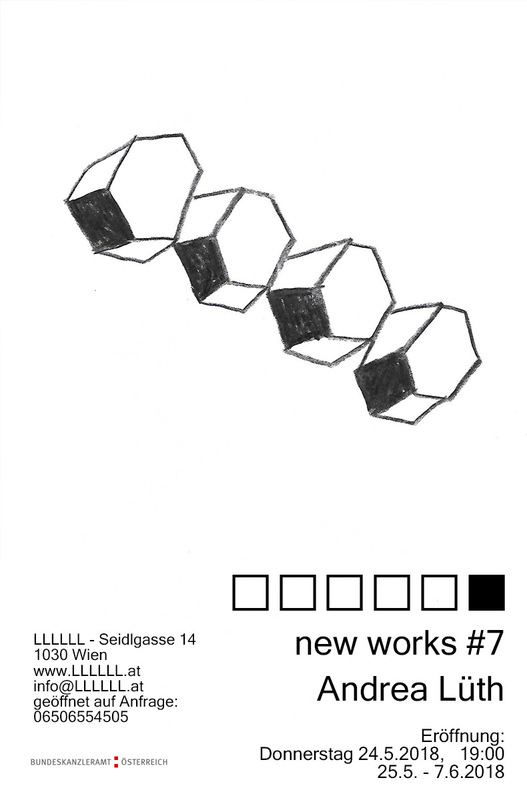 Beim Format new works präsentiert jeweils eine KünsterIn neue Arbeiten im Austellungsraum. Das Format orientiert sich am open studio, bedient sich aber des Displays des Ausstellungsraumes. Opening reception: March 2 (Thursday) at 7 p.m. 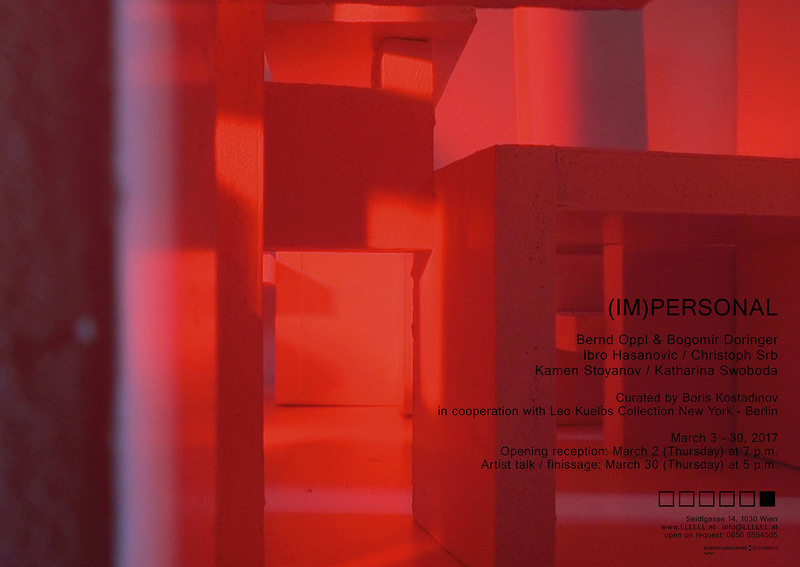 Artist talk / finissage: March 30 (Thursday) at 5 p.m.